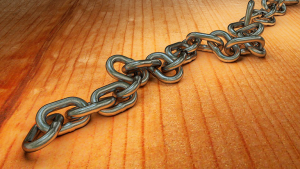 Link Building Service - We'll help you increase your backlinks ethically. Some people claim link building is a dying art. In reality it is still extremely powerful however you need to work with an SEO company (like us!) who do things the ‘right way’ without taking short cuts. Having great engaging content on your website (and a good user experience) are becoming an increasingly important part of Google’s ranking algorithms. That said, for the foreseeable future, link bulding (increasing the quality and number of links from different websites you have pointing at your site) will continue to be one of the most important ranking factors. 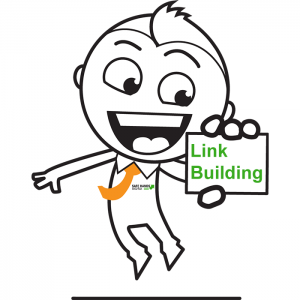 Link building is one of the areas of SEO that can easily get your website penalised either by an automatic algorithmic penalty (such as Google Penguin) or a manual penalty (if your site is manually reviewed by a ‘real live’ person). Traditional link building is one area of SEO that Google (and the other major search engines) view as being dishonest and inappropriate – and rightly so. This is the area of SEO strategy that our company has thought longest and hardest about. We have decided that long-term results are far more important than dangerous short term gains. If something will obviously have a short-term boost but we can see it will harm your site in the future, we won’t do it. No ifs or buts. If we wouldn’t be happy using a method for our own company, we won’t suggest it to you! Many people have in the past attempted to game the system with low quality ‘spammy’ links. Automated software has often been used by companies to produce low quality links on low value websites in their hundreds and thousands. These have usually been in the form of thousands of blog comments, low value profile or directory links, or in more recent times low quality ‘web 2.0’ properties. Others have improved their search engine rankings by buying links on ‘private blog networks’ for a few (up to several hundred) pounds per backlink. 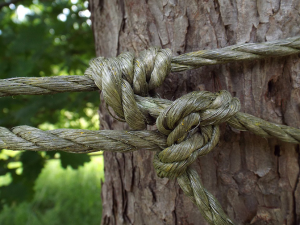 We don’t (and you shouldn’t) fall into the Public Blog Network trap! These advertised networks are (in reality) public rather than private blog networks and inevitably get found by Google. All the sites connected to this site then get found and penalised. Your website could easily end up being penalised or deindexed entirely from the search results. This is a risky game that we refuse to be part of. Unscrupulous SEO companies will often employ these methods to get you short term success. They’ll then take as much money from you as they can before your website invariably gets penalised or deindexed. 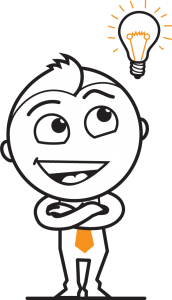 This leaves your business in a huge hole that respectable SEOs (like us!) then have to try to dig you out of. We want your business to grow and be successful for years to come. That way we hope you’ll stay with us as a client. Then both of our businesses can benefit in the long run. We won’t put your business at risk with low quality link building methods that will ultimately get your website deindexed form the search engines. Creating great content and marketing it to key influencers and industry leaders is a legitimate way to attract links to your website. This is a completely honest and open method but requires time, patience and a good content creation and promotion strategy. We can create a monthly package of content creation and promotion. This works extremely well when coupled with a social media campaign. Building up (as in genuinely engaging and posting valuable content) on key social profiles will help your site attract links. You will also be increasing valuable referral traffic (interested website visitors). Some sites even let you include a ‘dofollow’ link on your profile page which passes ‘link juice’ to your main website. We won’t approach low quality sites that advertise as accepting guest posts as we believe this will harm your site in the long run. We can however pitch and seek to secure promotional articles about your business and mentions in respectable online publications. This will increase your referral traffic (as people will naturally be interested in your business) and help to increase the number of high quality links your website receives. If you opt for an outreach package please note we provide, genuine, hands-on outreach. We will not engage in spammy activities (such as mass emailing for prospective link placements). The time commitment involved in establishing and maintaining genuine relationships with publications and bloggers is substantial. Our outreach service is therefore our most expensive offering and is most suitable to those with a fairly large marketing budget. Please contact us below for details. We can get your business accurate listings on high quality, industry relevant directories and sites. Please see our local citations service page for full details. Our Competitor Analysis service is another service we offer which can yield results in terms of new valuable, quality links to your website. We obviously won’t go into full details here but rest-assured we also have many other legitimate methods of link building that will lead to more high quality links and real visitors for your website. This will increase your leads and sales through referral traffic as well as naturally increase your organic search engine position. When you sign up for a monthly package we’ll be happy to discuss further options to legitimately increase high quality links to your website. We can also help with the creation of new legitimate web properties to target new market sectors and geographical areas if required. We are always willing to ‘think big’ and help your promotion and expansion plans. Google’s algorithms are constantly changing and adapting. The major search engines now even employ machine learning. This means some areas of their algorithms develop independent of human intervention. A link that is achieved legitimately now could in future be deemed to be gaming the system or devalued. This is how SEO works today. We work with methods that are successful (and we deem to be legitimate) NOW and we believe will still be in the future. We always look to the future and analyse the way we believe Google’s algorithmic changes are heading. If a linking method seems too good to be true, generally it will be. We believe in achieving long term results – for your business and ours! If this honest approach to link building sounds like a good fit for your business, please get in touch.